Education 2010 Spring Semester. Film and Video School, California Institute of the Arts. Valencia, USA; 2002 MA Fine Art: Painting. 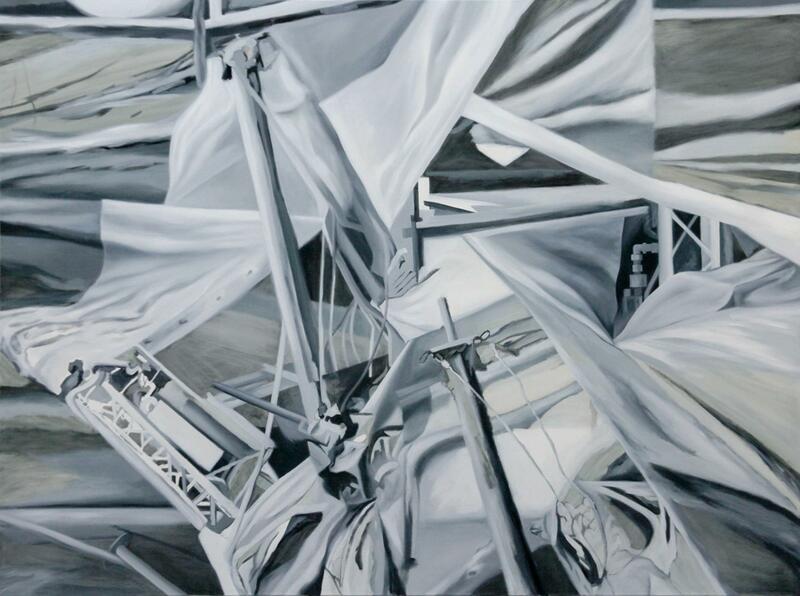 Vilnius Academy of Fine Arts, Kaunas Institute of Arts, Lithuania; 2000 BA Fine Art: Painting. Vilnius Academy of Fine Arts, Kaunas Institute of Arts, Lithuania; 1995 Fashion Design. Kaunas Higher School of Art, Lithuania. Work experience, training 2010-2015 lecturer at the Vilnius Academy of Arts; 2016 05 12-14 Community Forum: Come ON, Community!, Via Foundation, Prague, Czech Republic; 2015 05 21-22 “The Body as Subjective Experience: Bodily Integrity and Vulnerability in Art Practice” iconference “The Body: Out of Time and Without a Place”. Organiser: The Institute of Art Research of Vilnius Academy of Arts, CAC, Vilnius; 2014 11 22-30 “Erasmus+” Project “The Intercultural Mode of Expression”, Orne, Lalacelle, France; 2010 California Institute of the Arts School of Film/Video , Valencia, USA (attended lectures without diploma); 2008 01 Artist Talk at the University of Hyderabad Arts Faculty, Hyderabad, India; 2009 08 Assistant Curator at “Labirinto”, Espaço Avenida 211, Lisbon, Portugal; 2004-2007 Art therapy and training sessions leader at the Lebenshilfe Bochum, Germany; 2001-03 Co-organizer ir co-curator of “Elnių slėnis” symposiums and shows; Personal and two person exhibitions 2014 “0, 1, 2, 3, 4, 5”, Pamėnkalnio gallery, Vilnius; 2014 Painting, Homo Ludens gallery, Jonava; 2012 Talk to me (read to me, sing to me), Kairė-Dešinė Gallery, Vilnius, Lithuania; 2012 Trials of the Foreign, Festival Kaunas in Art: Talking. Meno Parkas Gallery, Kaunas, Lithuania; 2012 Irrational Cuts I, Vartai Gallery, Vilnius, Lithuania; 2011 A Desolate Place, Festival Kaunas in Art: Institutions. Artists. Projects. 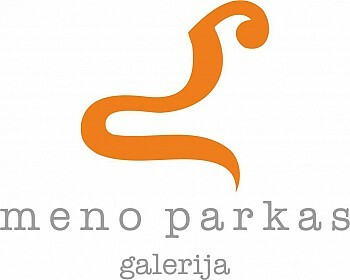 Meno Parkas Gallery, Kaunas, Lithuania; 2011 Feedback, Žmuidzinavičius Gallery, M. K. Čiurlionis National Art Museum, Kaunas, Lithuania; 2010 Eureka Valley in collab. with Francisco Janes, A404 Gallery, California Institute of the Arts, Los Angeles, USA; 2009 Sunset Park in collab. with Francisco Janes, Espaço Avenida 211, Lisbon, Portugal; 2006 Still Life, ARTima Gallery, Vilnius and Baroti Gallery, Klaipėda, Lithuania; 2005 Untitled with Loretta Petraitis, Ciurlionis Gallery, Chicago, USA; 2002 Reality of Virtuality, Gallery of Academy, Vilnius, Lithuania. Group exhibitions and projects 2016 POSITIONS Berlin Art Fair, with gallery "Meno parkas". Berlin, Germany; 2016 “Before/After/Now”, Contemporary Painting Festival „Generations XY.Z?, Šiauliai Art Gallery, Šiauliai, Lithuania. 2015 “The Relevance of Reality”, Gallery Meno Parkas, Kaunas; 2015 “Before/After/Now”, Contemporary Painting Festival „Generations XY.Z?“, Picture Gallery of the M.K. Čiurlionis National Museum of Art, Kaunas; 2015 “More Light“, Kaunas Photography Gallery, Kaunas; 2015 “The Same Way of Thinking / Seeing”, Lithuanian Artists' Association Gallery, Vilnius; 2014 Documentary “Kaunas in Art” exhibition, Homo Ludens gallery, Jonava; 2014 Art Vilnius’14, with Meno Parkas gallery (Kaunas), Vilnius; 2013 Sept - Dec, 9th Kaunas Biennial - Unitext, M. K. Čiurlionis National Art Museum, Kaunas, Lithuania; 2013 April - June, City (Re)Searches - II, Kaunas, Lithuania; 2013 Love and Death, R&A Gallery, Vilnius, Lithuania; 2013 27 Thursdays, Vartai Gallery, Vilnius, Lithuania; 2012 Video Art from Lithuania, Videoholica - Video Art Festival, Varna, Bulgaria; 2011 2nd Ghetto Biennale, Port-au-Prince, Haiti; 2011 City (Re)Searches: Experiences of Publicness, Kaunas, Lithuania; 2011 Field_Notes, Kilpisjärvi Biological Station of the University of Helsinki, Finland; 2011 Begehungen n°8, a former prison JVA Kaßberg, Chemnitz, Germany; 2011 Grynparkas festival, interdisciplinary art project Sanctuary, Birštonas, Lithuania; 2010 Fata Morgana, Meno Parkas Gallery, Kaunas, Lithuania; 2010 Išlikimas - Land art exhibition, Vilnius University Botanical Gardens, Vilnius, Lithuania; 2010 Film Festival Home, California Institute of the Arts, Los Angeles, USA; 2009 Migrating Birds, Jonas Mekas Center of Visual Arts, Vilnius, Lithuania; 2009 Short Film Festival, Kaunas Public Library, Lithuania; 2009 Labirinto, sound art exhibition, Espaço Avenida 211, Lisbon, Portugal; 2009 Video Įkvėpimas Festival, Gallery 101, Kaunas, Lithuania; 2008 Three Islands - North Uist, Scotland; 2008 Binaural Media, Nodar, Portugal; 2008 Flight Stroke, extreme art camp. Baroti Gallery, Klaipėda, Lithuania; 2008 Nordic Art, Kunst in der Carlshütte, Büdelsdorf, Germany; 2008 Kunst und Umwelt, Galerie Wollhalle, Güstrow, Germany; 2008 Triangle workshop, Hanthana, Sri Lanka; 2007 Sanskriti Foundation, New Delhi, India; 2007 Nordic Art, Kunst in der Carlshütte, Büdelsdorf, Germany; 2007 5th Umbusi symposium of site-specific art, Umbusi, Estonia; 2007 Patria, Kreishaus Gütersloh Gallery, Germany; 2006 Ultima Ratio, Meno Parkas Gallery, Kaunas, Lithuania; 2006 Metu Horizontai, Klaipėda Art Exhibition Hall, Lithuania; 2006 10+, Picture Gallery of Kaunas, Lithuania; 2005 Open Studio, Brockhauser Str. 72, Bochum, Germany; 2004 P.S. ESP, Picture Gallery of Kaunas, Lithuania; 2003 ESP, Arts Printing House, Vilnius, Lithuania; 2003 1st Umbusi symposium of site-specific art, Umbusi, Estonia; 2003 Insert, Savanorių pr. 168, Kaunas, Lithuania; 2003 - 2001 Three ESP symposiums of site-specific art, Joniškis district, Lithuania.